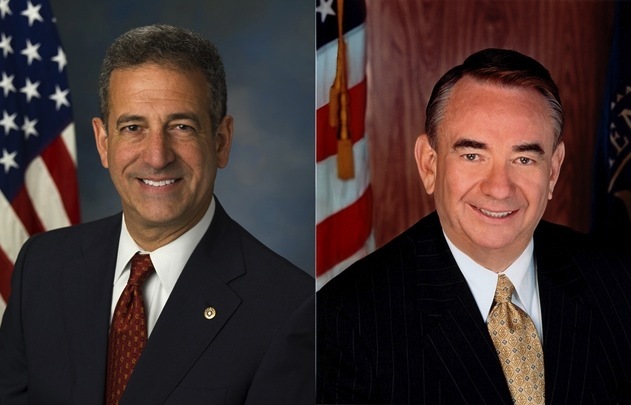 If we look at a series of five polls of the Wisconsin Senate matchup between Senator Russ Feingold, Democrat, and former Governor Tommy Thompson, Republican, we find a broad range of results. On no news can we really expect the race to move 16 points in one week? Some of these have to be wrong, but will we ever know which? March 9, Wisconsin Policy Research Institute poll (beware, the link seems to have been hijacked). Thompson 51, Feingold 39, MoE unknown because the link doesn’t work for me anymore. If it’s 6% then the lead probability for Thompson is 84%. March 16, Rasmussen Reports poll. Thompson 47, Feingold 45, MoE 4.5. 58% chance Thompson is ahead per my model. March 21, Public Policy Polling weighs in. Thompson 44, Feingold 47, MoE 3.7%. 34% chance Thompson is ahead, a striking change from the previous results. March 24, Daily Kos/Research 2000 poll. Thompson 44, Feingold 48, MoE 4%. 30% chance Thompson leads. March 31, Wisconsin Public Radio/St. Norbert College poll. Thmopson 45, Feingold 33, 5% MoE. Poll of adults, where the rest were of likely voters. 88% chance of a Thompson lead. A simple average of the win percentages hints that there’s a 59% chance that Tommy Thompson is ahead. But is that even useful? I don’t think so. I’m inclined to doubt the St. Norbert College poll until confirmation comes in. The previous four polls all show a clear trend toward Feingold. However it’s not out of the question that Thompson still leads, as Public Policy Polling and Daily Kos are both known to lean toward the Democrats in their clientele (in a manner of speaking, in the case of Kos). It’s conceivable for there to be a bias, either conscious or unconscious, giving Feingold better odds than he might genuinely have. As always though, more polling will help. That’s the basic problem with statistical methods: you’re never entirely sure. An interesting thing about the WPR/St. Norbert poll is that the people of WI favor a generic Dem more than a generic Rep for the seat, and yet Thompson cleans Feingold’s clock in the head to head poll they conducted. That makes the poll even more doubtful.